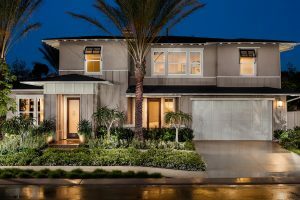 This single family, exclusive gated community of 387 homesites is located near Rancho Santa Fe and Lake Hodges. Grading operations consisted of nearly four million cubic yards in earthwork. Lots ranged from 8,000 SF to two-plus acres, with view corridors and privacy being at a premium. 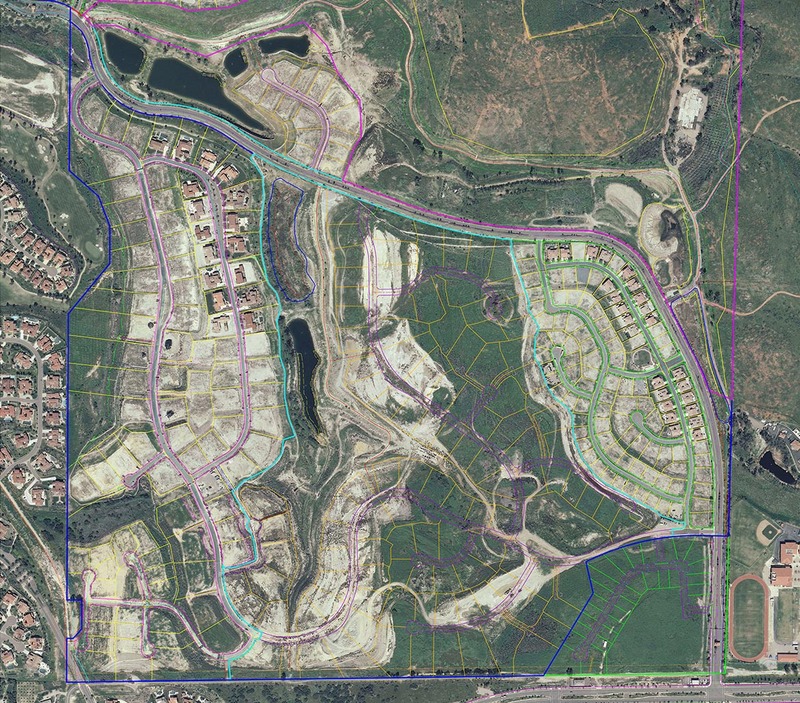 H&A created yield studies and various lot configurations to increase lot values while balancing the earthwork onsite. The development created hundreds of acres of open space, wetland areas and a trail system encompassing six man-made lakes. Equestrian trails were created to link to those that had been preserved. The project was designed in six phases of improvement plans, grading plans and final maps. Sixty-six phases of precise grading plans and sales exhibits were prepared. The open space areas included six man-made lakes with streams integrated into the surrounding trail system. Pumps were installed at the lake levels to pump water up to the top of the streams for continuous flow. Many bridges and landscape features were included to enhance the lake and stream viewing corridors. Three waterfalls connect four of the lakes and can be seen as you drive in to the development. The topography included hundreds of feet of elevation difference, resulting in the need for four water pressure reducing stations and one recycled water pressure reducing station. These pressure reducing stations provided adequate water pressures to the homes at various pad elevations. The property had previously been a lemon orchard which used a natural spring lake for irrigation. Getting accurate topography was challenging due to the existing root structures and areas under water.